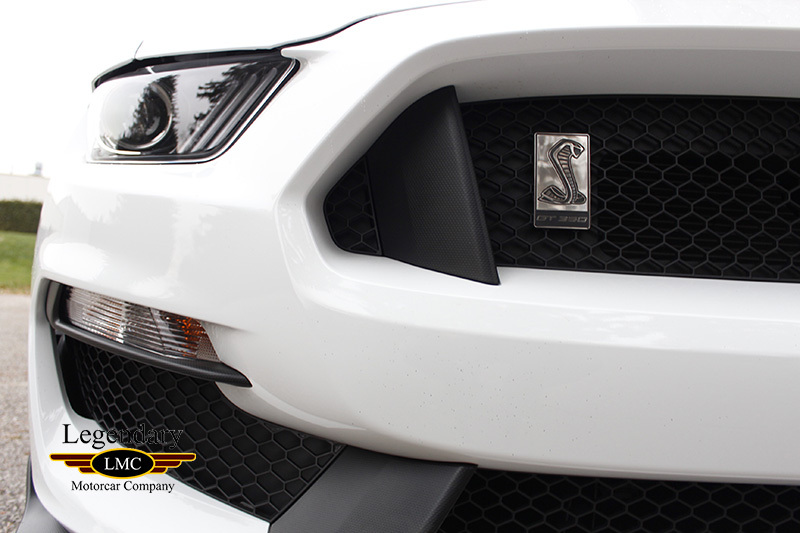 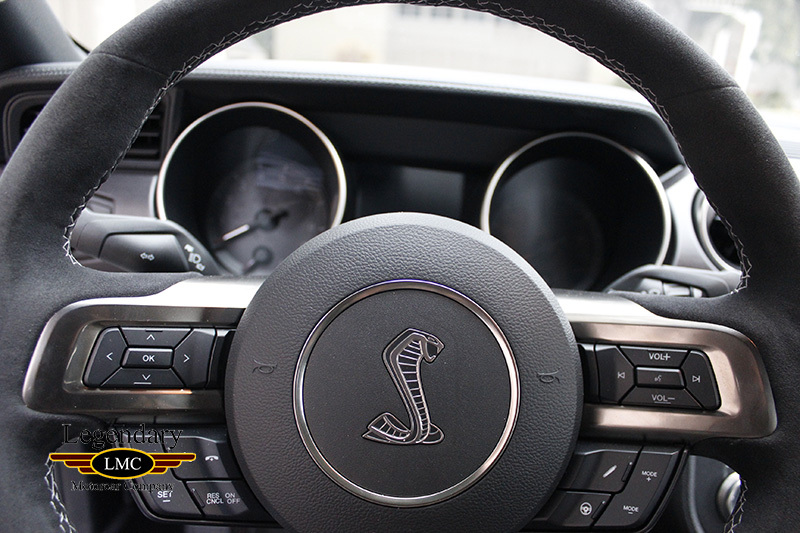 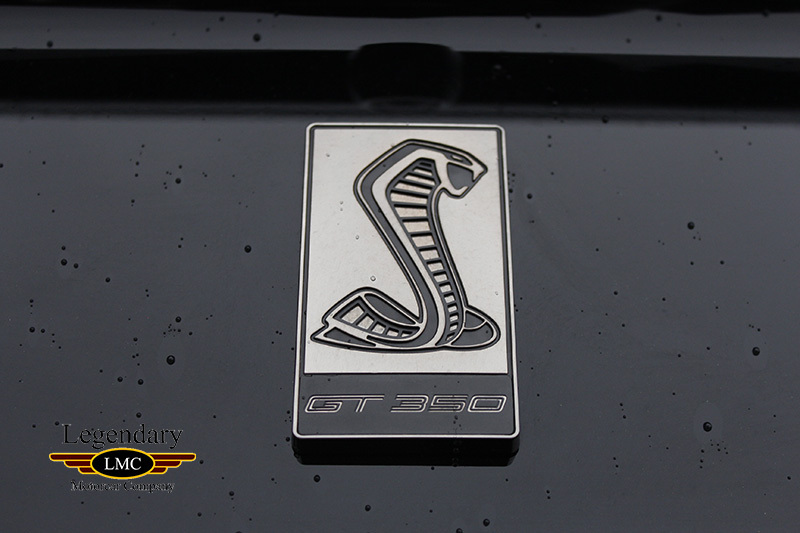 Click any thumbnail below to display the 2015 Ford Mustang Shelby GT350 slide show. 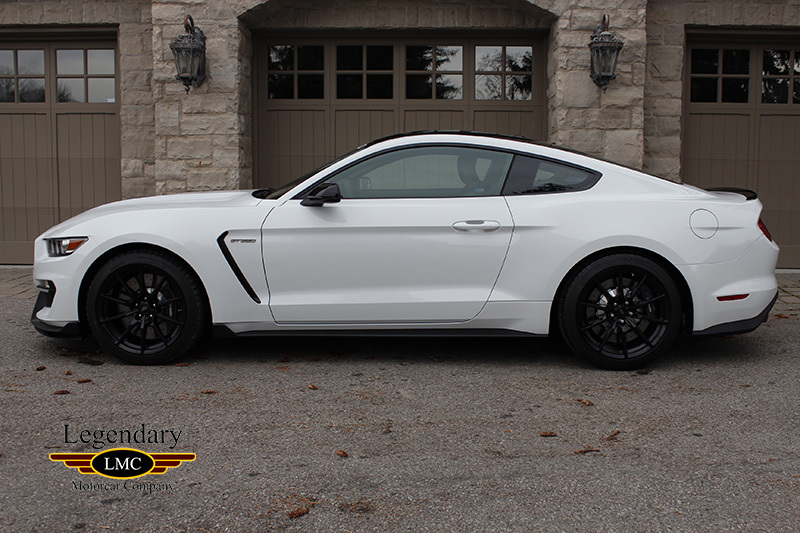 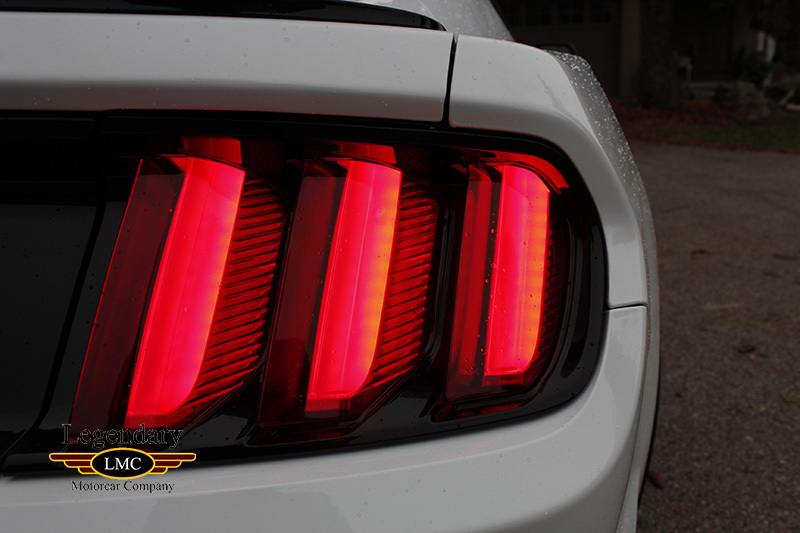 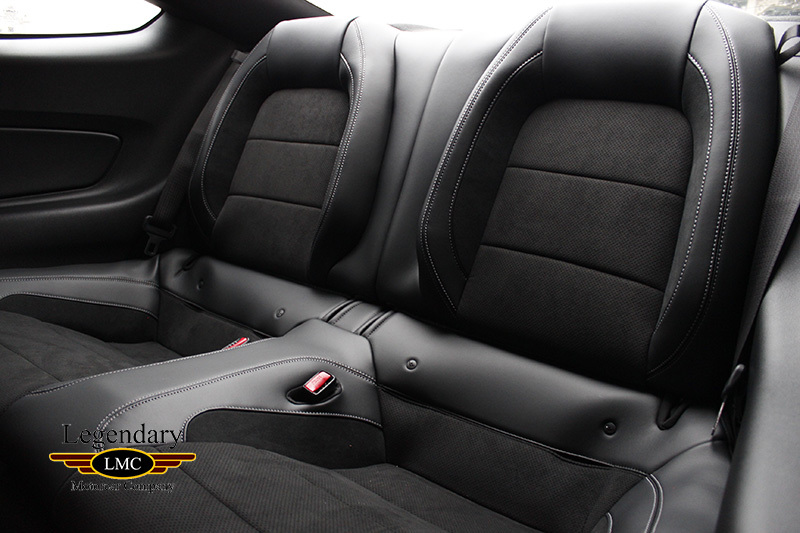 LMC is very proud to offer for sale this 2015 Shelby GT350. 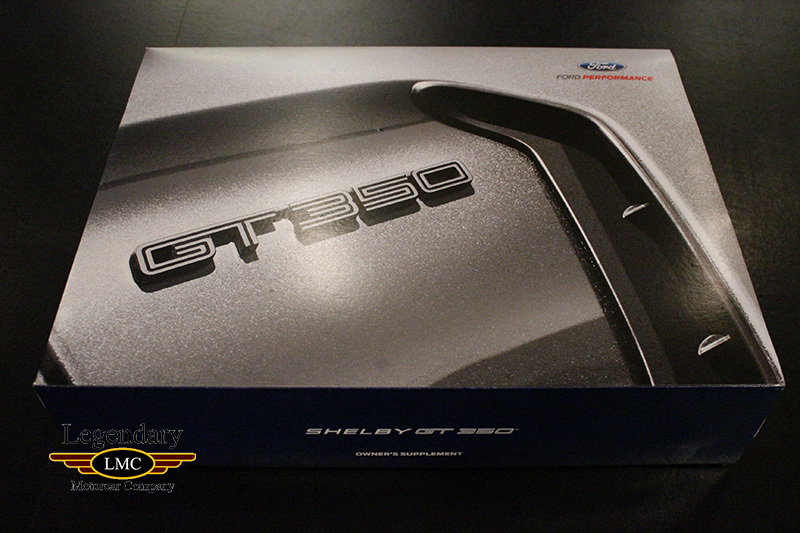 To commemorate the 50th Anniversary of the American muscle car icon, the Shelby GT350, Ford decided to have an extremely limited production of the 2015 Shelby GT350, making the 50th Anniversary models very rare and quickly collectible. 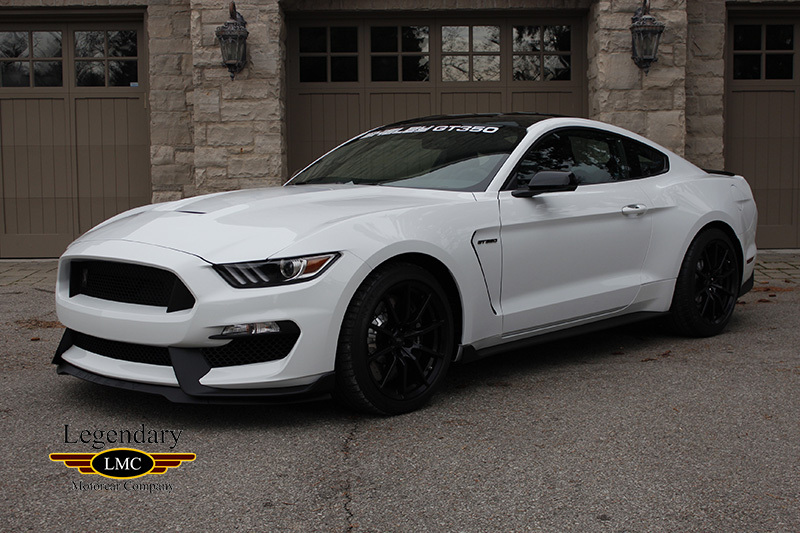 Only 137 of the modern muscle cars would be planned to be built, 100 GT350s (50 Track Package and 50 Tech Package) and 37 GT350Rs. 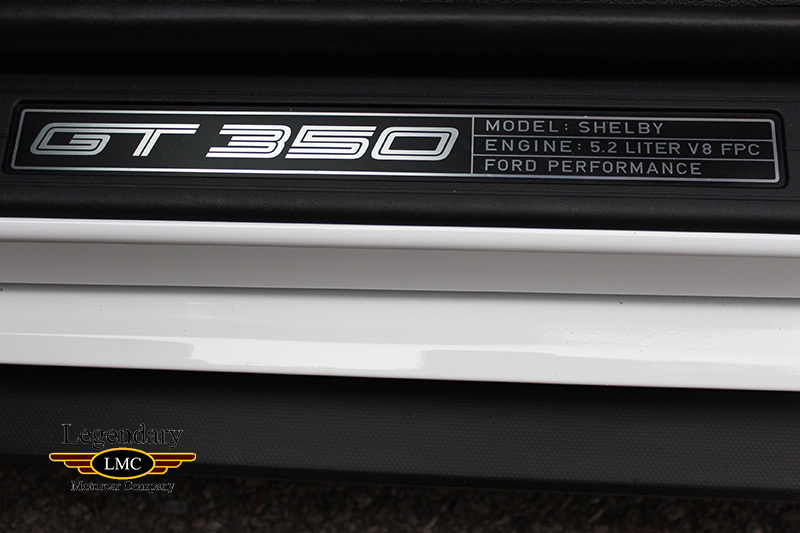 The all-new for 2015 Shelby GT350 would bring along Ford’s most powerful naturally aspirated engine to date, propelling the Mustang back into the world class sports car category. 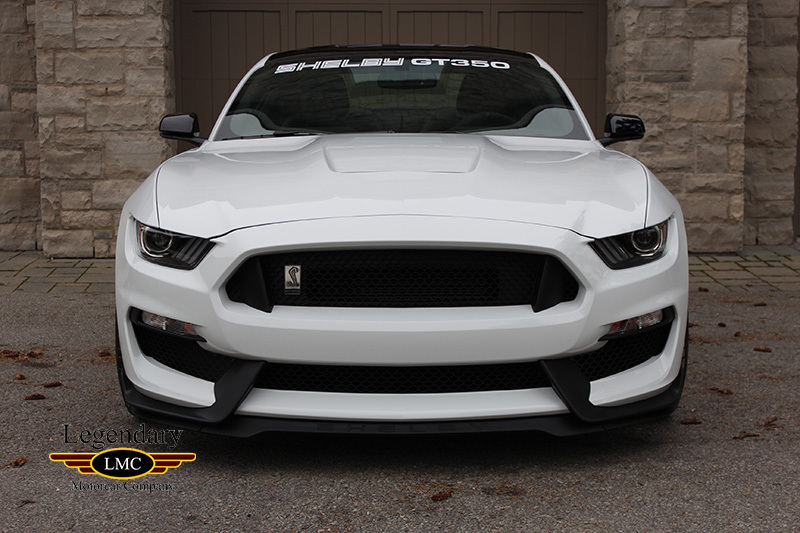 This 2015 Shelby GT350 is one of the 48 that were actually produced with the 67T Tech Package and was factory painted in Code YZ Oxford White, making it only 1 of 17 with the YZ Paint and Tech Pack combination. 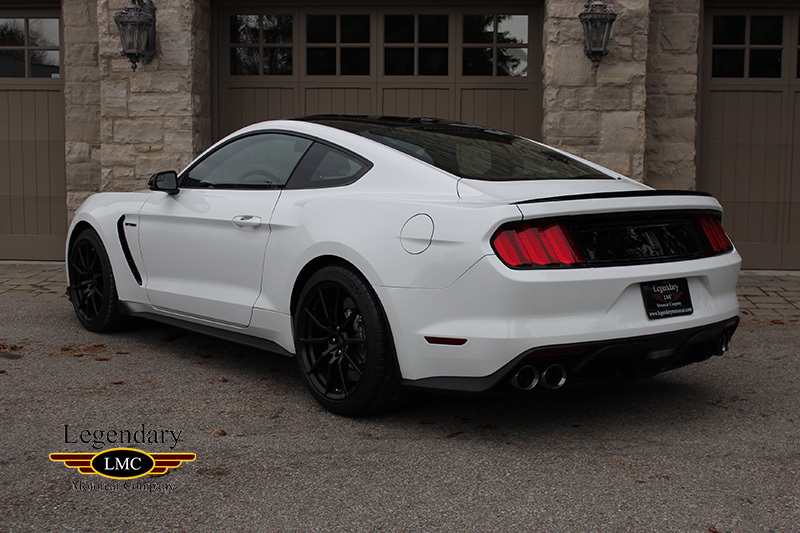 This GT350 however, has the factory stripe delete and the Code 94B painted Black roof, further increasing the rarity and uniqueness. 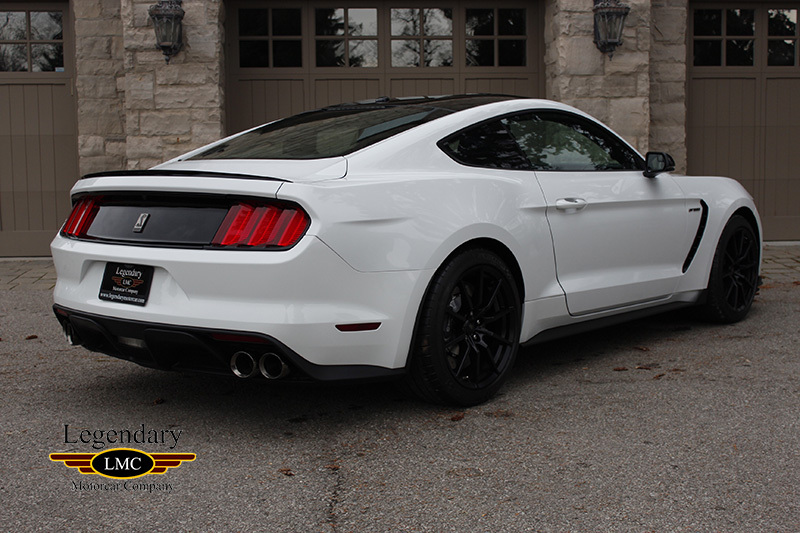 Sold new from AutoNation Ford in Mobile, Alabama, it has only driven an extremely low 1,754 miles to date. 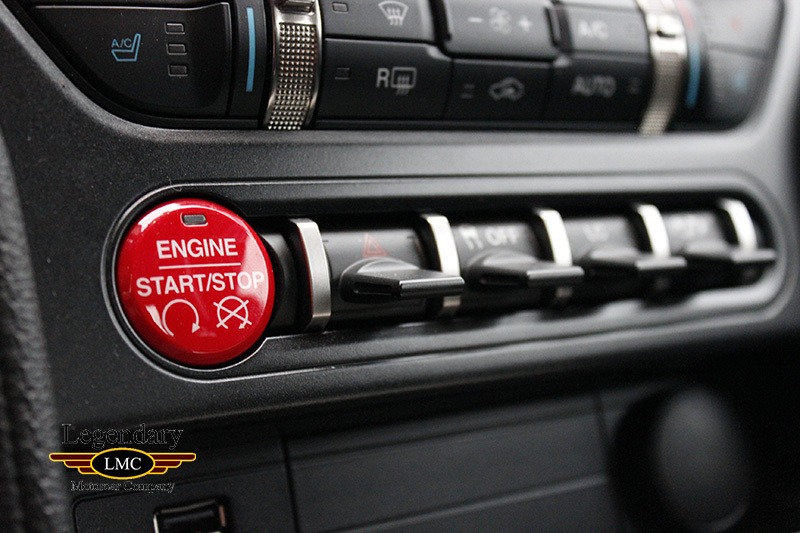 The loud grumble from the new 5.2L 526HP Naturally Aspirated engine, Red Push Button Start and Factory Toggle Switches on the dash are you reminders that you’re driving a performance and racing bred machine. 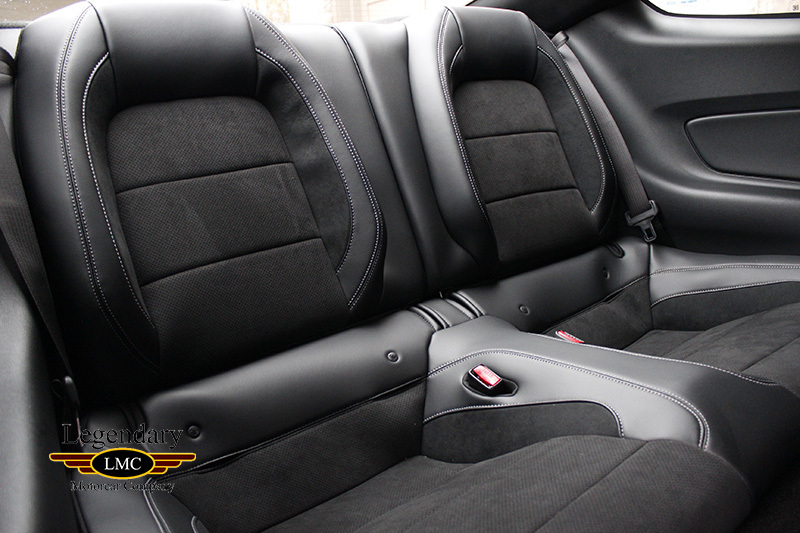 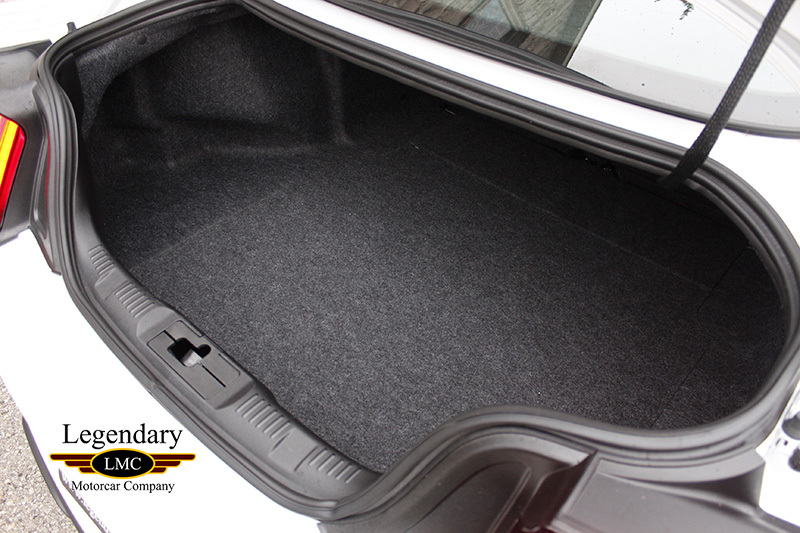 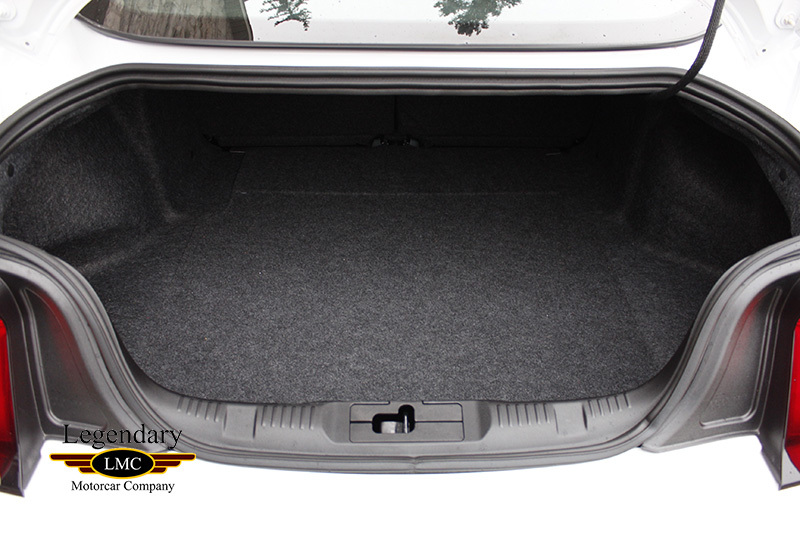 It even still has the brand-new car smell. 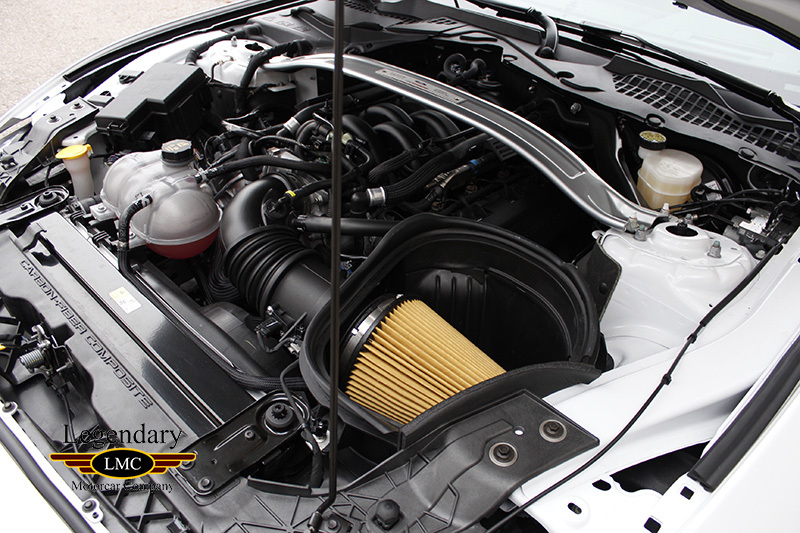 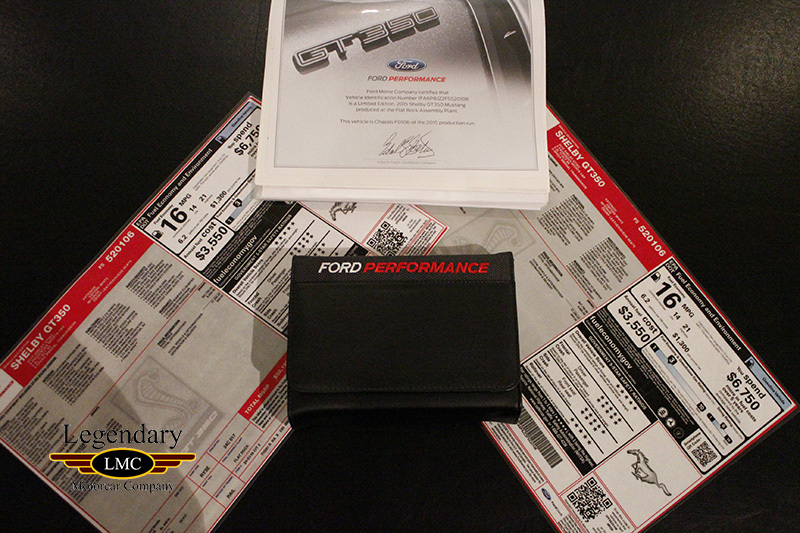 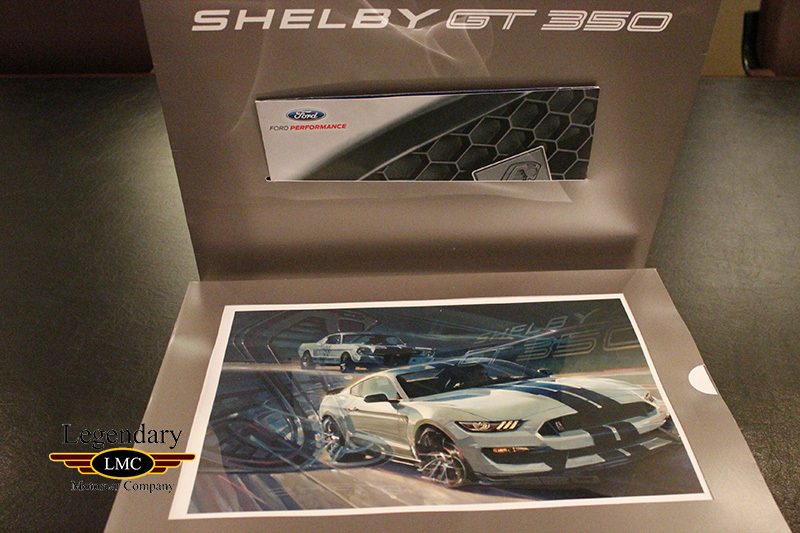 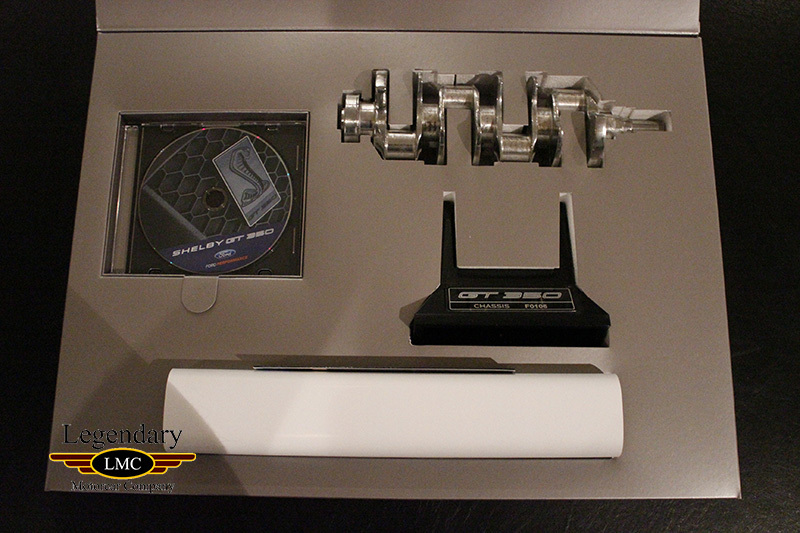 Accompanying this GT350 is the Owner’s Supplement Package, which includes the Shelby DVD, a GT350 poster and art, the GT350 brochure, and a display GT350 crank with display stand. 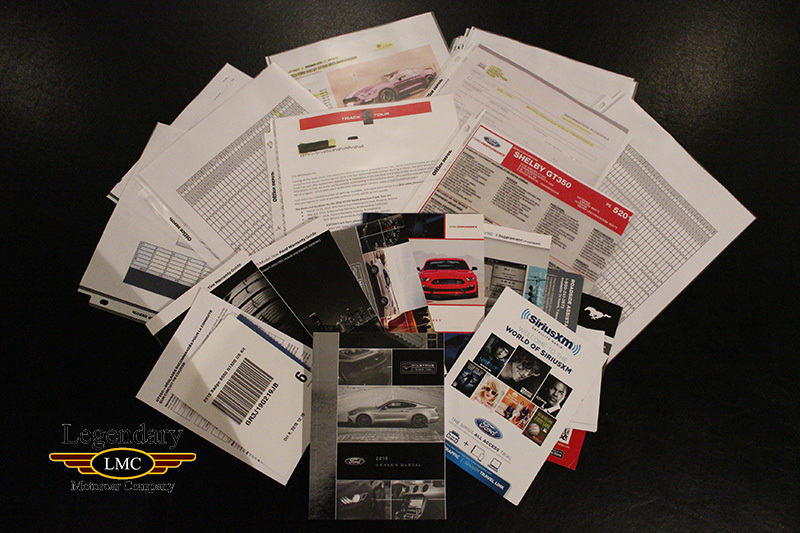 Also present are the original window stickers in laminate, a binder full of documents including production numbers of the model year, a letter from Ford explaining the exclusivity of the car, and all books and manuals that were included with the original dealership sale. 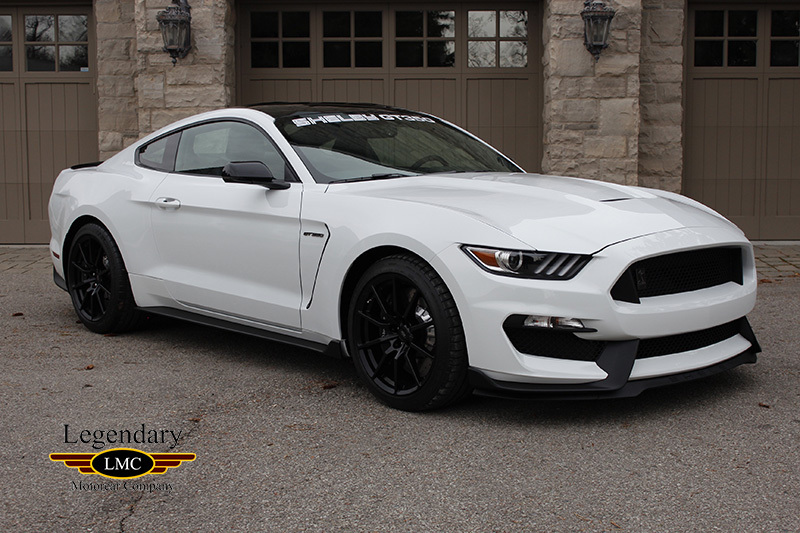 Rare nowadays, it's hard to find a car that become instantly collectible and iconic, but the 2015 Shelby GT350 is just that. 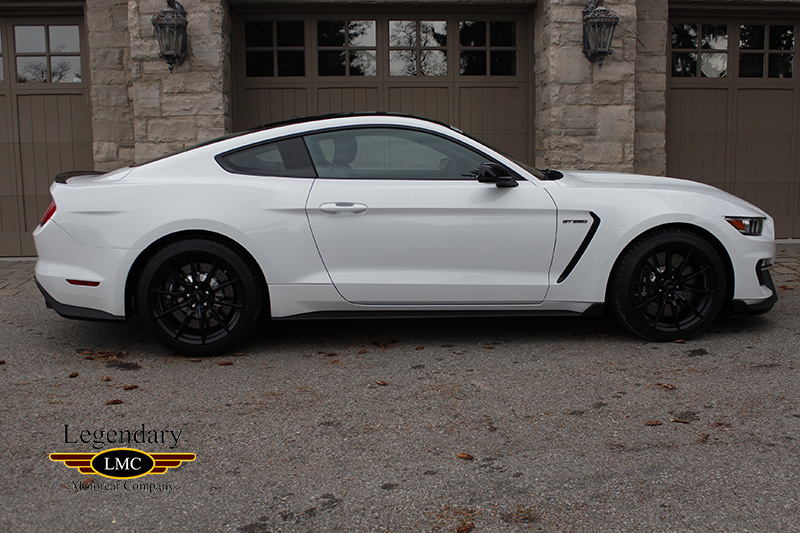 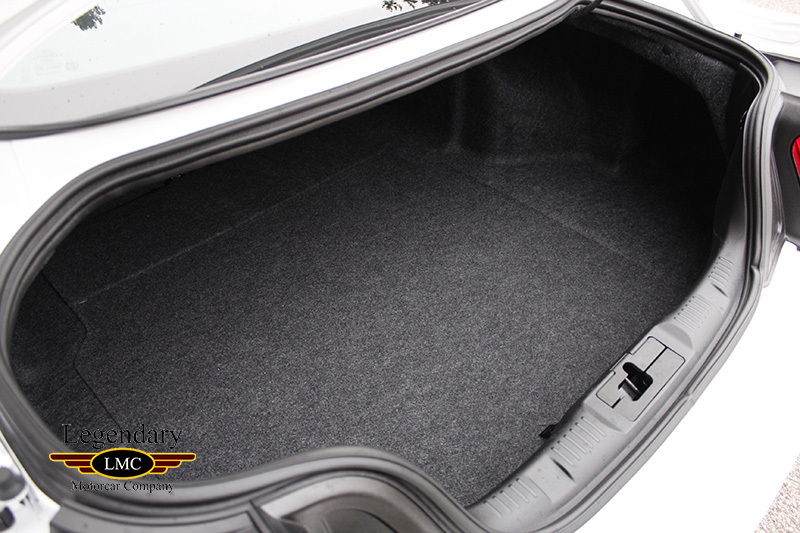 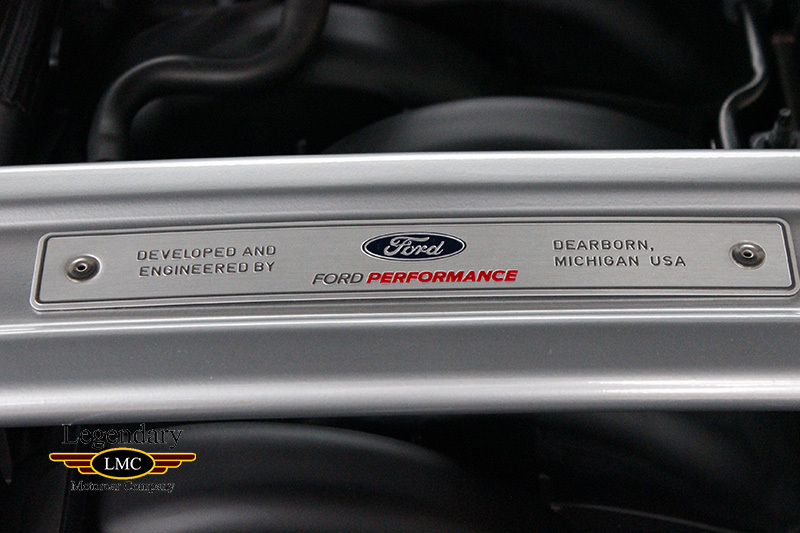 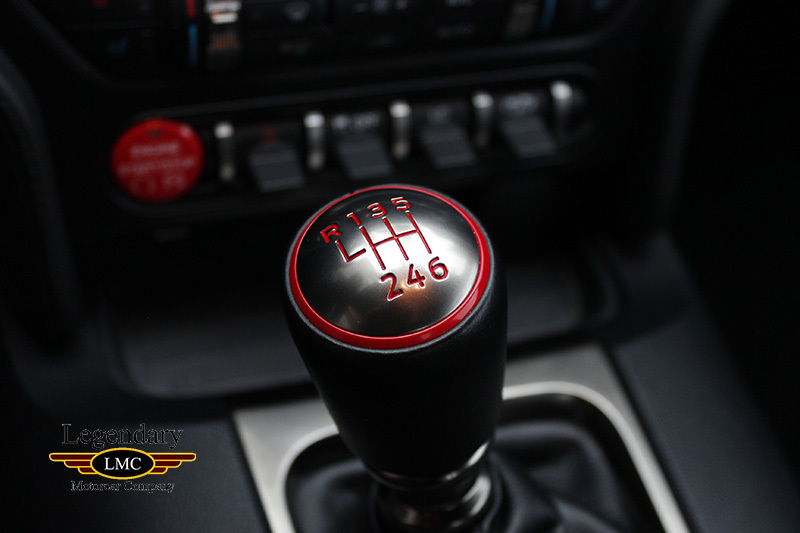 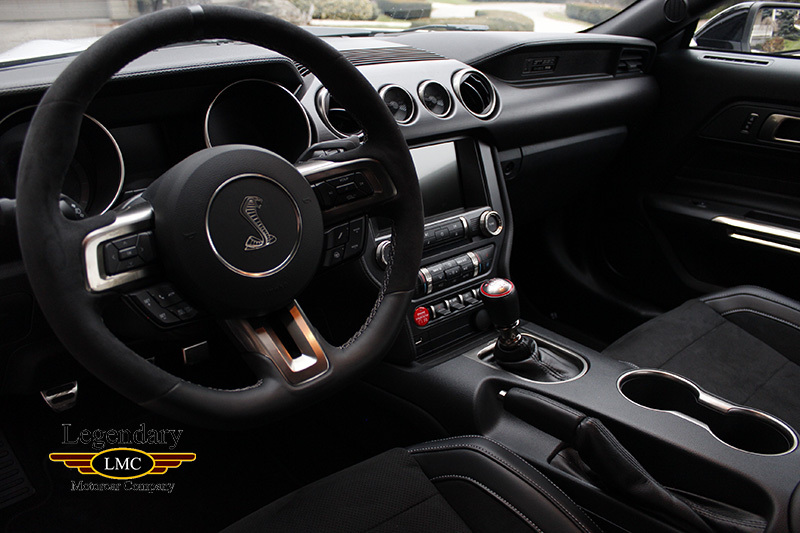 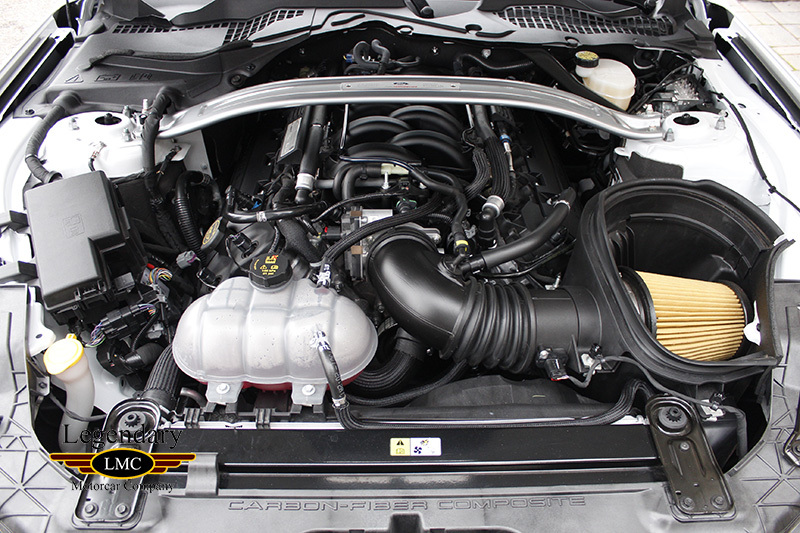 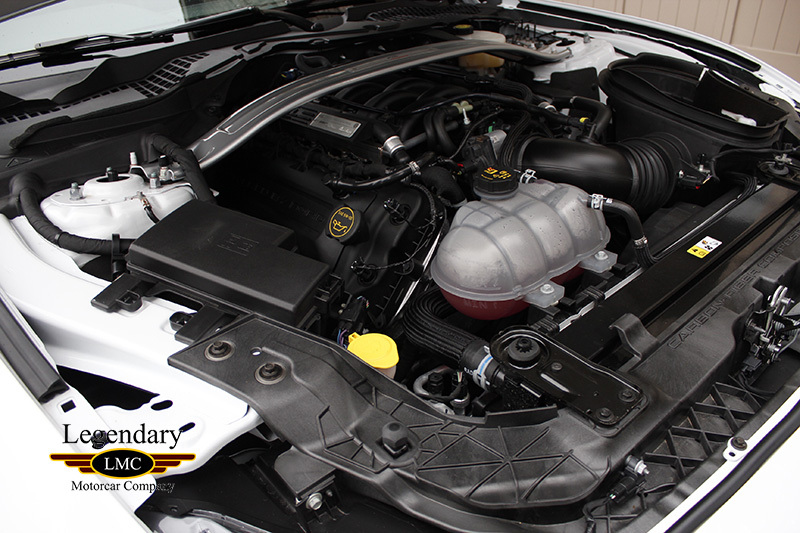 The exclusiveness that comes with owning one of the 50th Anniversary GT350s, makes this the perfect car for the Ford, Shelby, or American Muscle car collector. 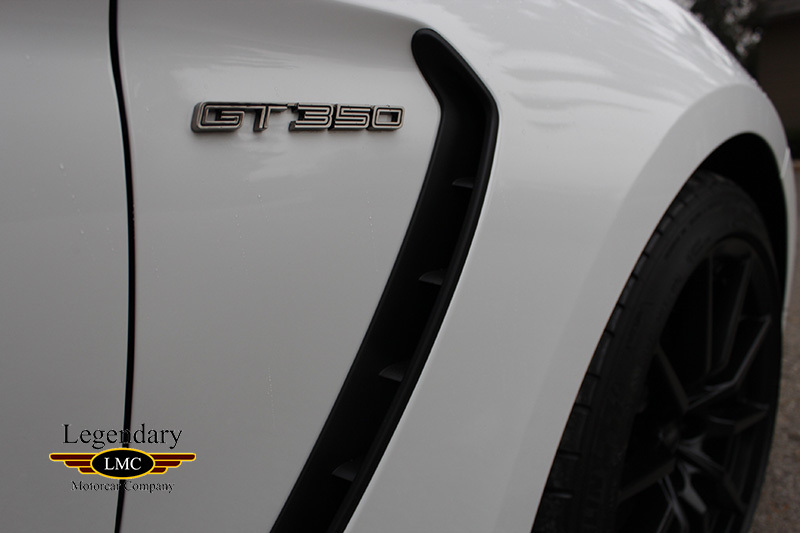 Modern muscle cars have made a comeback in a big way and the GT350 has again become a world class sports car. 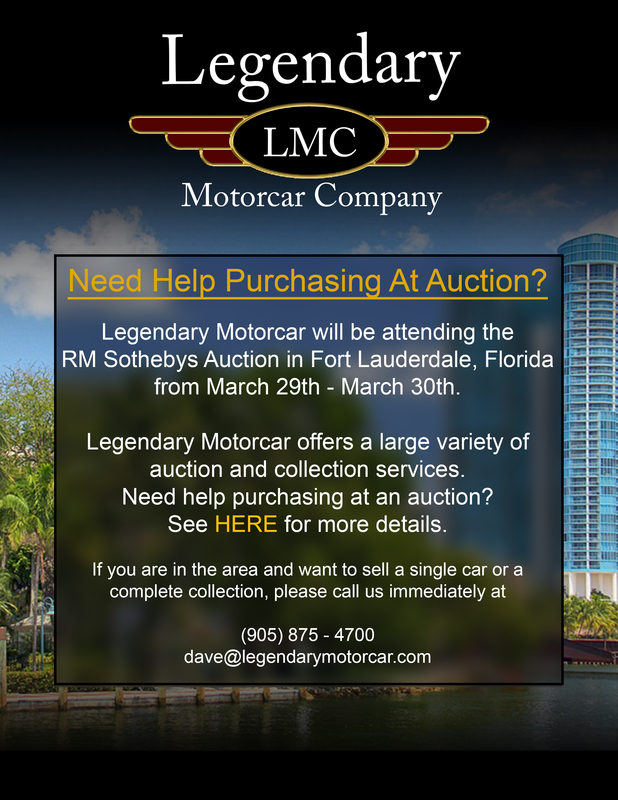 A rare and unique opportunity to purchase a true modern day collectible, as these rarely come available and sure only to increase in collectability as time goes on. 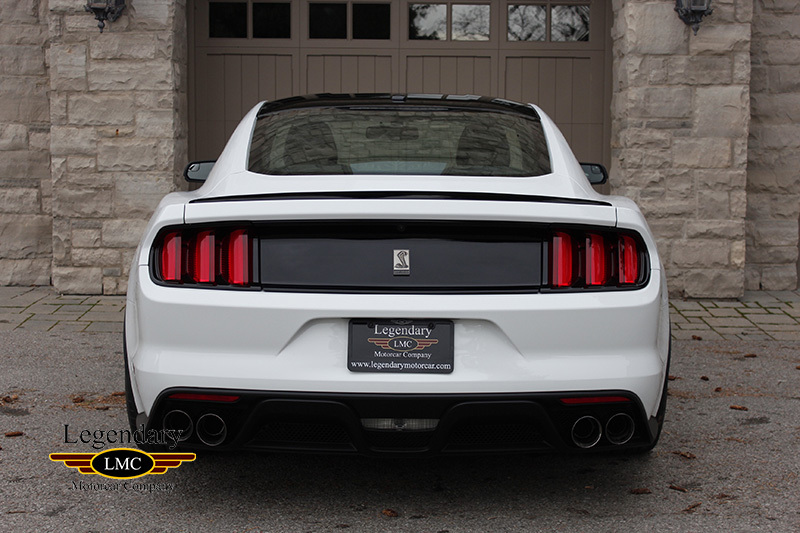 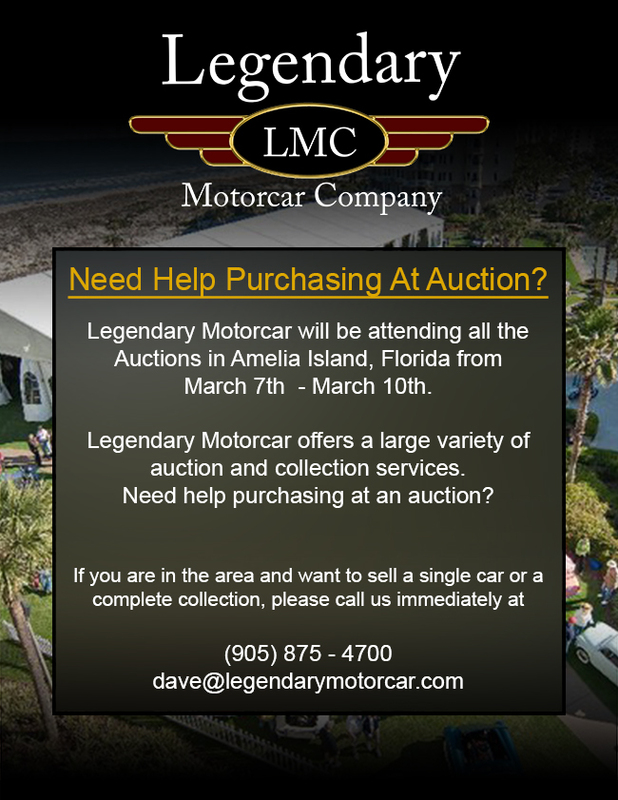 Legendary-Motorcar-Company-Ltd-2016-148 Ford 2015 Ford Mustang Shelby GT350 2016-148 79900.0000 Legendary Motorcar Company Ltd.